Call Gulf Coast for Houston Nickel Recycling! An alloy is defined as a combination of two different types of metal. The main characteristics of nickel alloys include the ability to resist high temperatures and not corrode, which makes it an ideal choice to alloy with less corrosive-resistant metals. 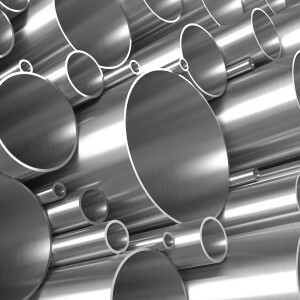 AZO Materials states that the manufacturing of stainless steel relies heavily on nickel alloys, which consist of the mixture of chromium and nickel. The combination of chromium and nickel creates many different household items such as sinks, saucepans, and utensils. Nickel alloys have played an important role in many industrial sectors. An article written by Chris Woodford also lists the various usage of nickel alloys. Two notable sectors include the automotive and aerospace industries. Corrosion-resistant nickel steel is used in the automotive industry to produce an assortment of car parts. In the aerospace industry, nickel is used to create superalloys, which are used to make turbine blades. Superalloys have the ability to resist exceedingly high temperature, making them a valuable alloy in various industries. The need to test nickel alloys is important because if it is not marked, it looks the same and cannot be distinguished. As noted in one of our previous blogs, the nickel content in alloys can vary depending on the industry it is used for. Special engineering steels can have a much lower nickel content compared to nickel alloys used in electronic industries. It is important to know the percentage of nickel content in each alloy in order to recycle it properly so that it won’t lose its value. At Gulf Coast Scrap Metal, we provide alloy testing and proper handling techniques to help retain the value of your nickel scrap during the recycling process. We are a highly experienced Houston nickel alloy recycling company; since 1990 we have been committed to making it easier for businesses to recycle and profit from large volumes of scrap. To learn more about how you can profit from nickel alloy recycling, please call us at 713-868-4111. This entry was posted in Nickel Alloy Recycling on January 19, 2016 by admin.